The attacks of September 11, 2001 brought the issue of financing terrorism to the forefront of the international community’s interest. Following these attacks international legislation developed on this subject aimed at fighting terrorism by stopping the financing of terrorism at the feeder source. In Israel, which has had to contend with terrorism throughout its existence, detailed legislation has existed on the subject for many years before the latest developments, aimed at assisting in the war against terror and its finances. This legislation, for the main part, is expressed in the Prevention of Terrorism Ordinance and in the Defense Regulations (Emergency Measures). 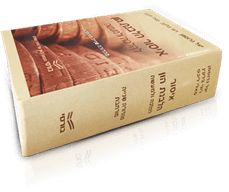 Following the heightened international awareness and the demands of the international community to adapt the internal-political legislation to stricter standards, the State of Israel also updated and widened its legislation in this field. The main change was the ratification on the December 29th, 2004 of the Prohibition of Financing Terrorism Law, 5765 – 2005 (hereinafter: the “Prohibition of Financing Terrorism Law”). The law adds to the laws which existed on this subject prior to its legislation and updates them. The Prohibition of Financing Terrorism Law is, first and foremost, an indication of Israel’s joining the international effort to fight the financing of terrorism and deals with the measures which the State of Israel must take in order to assist the handling of terrorism, and not necessarily terrorism directed against Israel, but terrorism directed against other targets throughout the world as well. The international principles guiding the legislation of this law hold that every country must fight against the financing of terrorism even if the terrorist activities are not committed in its territory or aimed against it, because only cooperation will allow an effective struggle against international terror. A. It widened the definition of the terrorism financing offence so that it also applies to rewards for acts of terror (such as rewarding the family of suicide bombers). B. The determining of a mechanism to declare an organization as a terrorist organization even if it is unconnected to Israel. C. Harsher punishments for financing of terrorism offences – from three years under the previous legislation to ten years imprisonment (for an action undertaken in property with the aim of promoting terrorism) or seven years imprisonment (for an act in property knowing that such will promote an act of terror). D. The defining of a new offence of non reporting on financial activities despite an existing suspicion that the action is connected to property financing terrorism activities. E. The widening of powers of seizure and forfeiture of monies suspected as being money involved in the financing of terror. F. The granting of powers to the Minister of Defense, or to someone empowered by him, to order the administrative seizure of funds suspected as being terrorist funds. The Prohibition of Financing Terrorism Law, for the first time, defines what an “act of terror” is. According to this definition, an “act of terror” includes any offence committed in order to influence a political, ideological or religious matter with the aim to raise fear or to force a governmental entity to commit an act or to refrain from committing an act, by the causing of material harm to the body of a person, his liberty, property or causing harm to infrastructure. The definition refers both to the purpose, which is the promoting of a political, ideological or religious matter both for a specific purpose ( to spread fear and terror amongst the public or to force a government entity to commit an act) and it refers to the nature of the act – material harm to the body of a person, his liberty, property, etc. The definition of the offence does not give weight to considerations of the perpetrator’s motive, and there is no significance vis-à-vis the acceptability or legitimacy of the ideology in the name of which or for which the offence was committed. The law is innovative in that it allows for a declaration to be made in Israel that a person is an active terrorist and that an organizational group is a terrorist organization based on information received from another country, according to which that person or organization are engaged in terrorism. The declaration is made by a committee of ministers, and it refers only to a person who is not an Israeli citizen or to a foreign organization whose center of activity is not in Israel. This declaration adds, and naturally does not detract, from those tracks existing under Israeli legislation to declare an organization which is active in Israel as a terrorist organization, i.e. according to those means as determined in the Defense regulations (Emergency Measures) and the Prevention of Terrorism Ordinance. The Prohibition of Financing Terrorism Law defines two main financing of terrorism offences of differing levels of severity. In this manner the Prohibition of Financing Terrorism Law is similar to the Prohibition of Money Laundering Law which also defines two main offences, of differing levels of severity, which are distinguished from each other by the class of intention for conviction under these said offences. The severe offence, with a punishment of up to ten years imprisonment and a fine, is an offence of purpose, and is defined as the prohibition on committing an act in property for the terrorism purposes. This offence includes a wide range of financing activities perpetrated with the aim or purpose of promoting or supporting terrorism activities, such as: Activities in property aimed at promoting or financing the committing of an act of terror, or rewarding the committing of an act of terror, or some action in property aimed at promoting or financing acts of a terror organization. The less serious offence, with punishment of up to seven years imprisonment and a fine, is knowingly committing of an act in terrorism property knowing it is terrorism property, or that such may promote the financing or rewarding of an act of terror. The law also defines an offence of breaching the duty to report as imposed on financial institutions and on private individuals who execute or seek to execute transactions in property, where a reasonable suspicion arises that the property is connected to terrorism. The punishment for such an offence is up to one years imprisonment and a fine. Alongside the Prohibition of Financing Terrorism Law other provisions relating to the financing of terrorism continue to apply in Israel as regulated under the Defense Regulations (Emergency Measures) and in the Prevention of Terrorism Ordinance. These provisions regulate various matters connected to the struggle against terrorism, and the Prohibition of Money Laundering Law does not derogate from such but rather adds to it. The Defense Regulations (Emergency Measures) have remained in force since the time of the establishment of the State of Israel and they have the normative status of principal legislation. The Regulations define an “illegal association” as being an association of persons inciting towards the overturning of the constitution of the State of Israel (according to the language of the Regulation), causing a holocaust, or inciting animosity towards the Israeli government or its ministers, damaging the property of the Israeli government or committing acts of terror against the Israeli government or against its employees. Alternatively, an “illegal association” is defined as any body, branch, faction, institution, etc. which the Minister of Defense has declared as being an illegal association. The law courts and the military courts in particular have interpreted these Regulations very strictly: An organization having at least two members has been defined as an “illegal association”, provided that each one of the members has acted in cooperation with the others, and they have a joint goal of preaching terrorism and acts of terror. The Regulations hold that the result of a declaration by the Minister of Defense that an organization is an “illegal association” is that every person who holds or controls property in that organization, or who owes it money, must file notice of such with the Minister of Finance. The Minister of Finance may confiscate such property and the party controlling the property shall not operate or use the property contrary to the instructions of the Minister of Finance. The Regulations define a number of offences which include the holding of property of an illegal association and collecting contributions for it. The punishments a perpetrator may expect to receive for these offences can reach ten years imprisonment or a fine. The Prevention of Terrorism Ordinance was legislated with the establishment of the State of Israel. In this Ordinance a “terrorist organization” is defined a membership of persons who, in their actions, use acts of violence which may cause death or serious injury, or by use of threats of such acts of violence. “a member of a terrorist organization” includes a person participating in these actions, someone who publishes propaganda in favor of such actions or someone who collects funds or objects for a terrorist organization or for its activities. The Ordinance holds that in order to prove that a certain association of members is a terrorist organization, it is sufficient to prove that one or more of its members committed acts of violence on its behalf, which may cause death or serious bodily harm, or threats of such actions, or that one or more of its members have declared, on its behalf, that such association of members is responsible for, or involved with, acts of violence or threats of such acts. The declaration by the government that an association of members is a terrorist organization will serve as proof of this fact in any legal proceedings, unless proved otherwise. On the face of it an organization can prove the opposite, however in effect, the government has been granted a very wide scope of autonomy in this matter, and the courts do not customarily intervene in its findings. The government does not need to provide the reasons for its declaration and is not required to re-examine it from time to time. The Ordinance defines any execution of an executive or other function in the organization as being an offence (up to ten years imprisonment), membership of an organization as being an offence (up to five years imprisonment), publication or possession of propaganda material, or showing identification with a terrorist organization, are also offences (up to three years imprisonment). The Ordinance refers to the financing of terrorism facet from two aspects. The definition of a “member of a terrorist organization” includes someone who has collected funds or objects for such an organization, and membership of a terrorist organization entails, as stated, punishment of up to five years imprisonment. Someone who does not collect funds for a terrorist organization, but contributes money towards to, or makes an object available to it to be used by the organization or its members, also commits an offence, and the punishment for such is up to three years imprisonment. The Ordinance vests the courts with the power to confiscate property of a terrorist organization, and property which is liable for confiscation may be attached by decision of the Police Inspector General. The ordinance holds that any property located at a place used by a terrorist organization as a place of activity, as well as any property held by a member of a terrorist organization, will be considered as the property of the terrorist organization, unless proved otherwise. The unique nature of the Prohibition against Financing Terrorism Law lies in the fact that it focuses on the financing aspect, defines the financing of terrorism widely and accurately and provides the authorities with effective and efficient tools to handle this subject, including forfeiture and confiscation provisions of property of very wide application. Furthermore, the distinctiveness of this law is that it sets out powers in connection with terrorist organizations which have no linkage to Israel nor do they act against Israel. With the legislation of the law, Israel joined the world-wide struggle by updated legislation against the financing of terrorist activities.